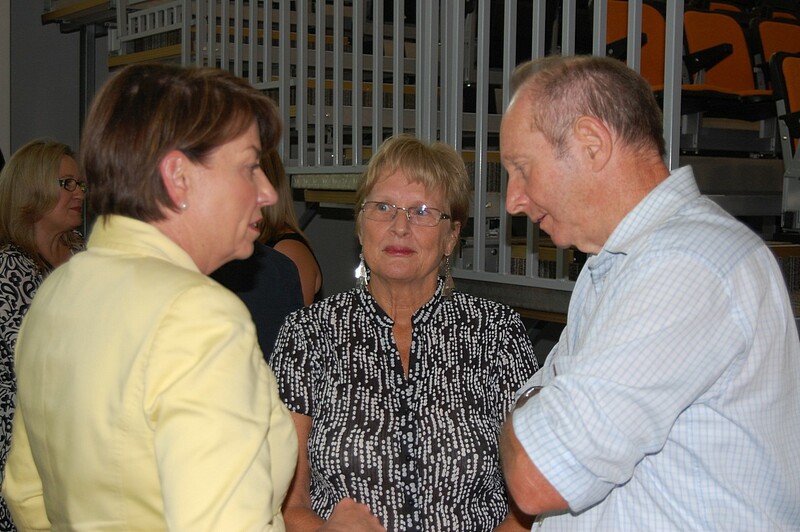 Queensland Premier Anna Bligh came to Tully today to open the new Tully Multi-Purpose Centre. Ms Bligh is pictured below chatting to Nola and Ian Adcock. Ian was the deputy CEO at Cardwell Shire Council and instrumental in establishing the Centre. This entry was posted in Photography and tagged anna bligh, fnq, tully, tully multi-purpose centre on 2011-09-03 by pete.